My wife and I recently strolled the campus and uptown during the glorious warm weather this past Sunday. 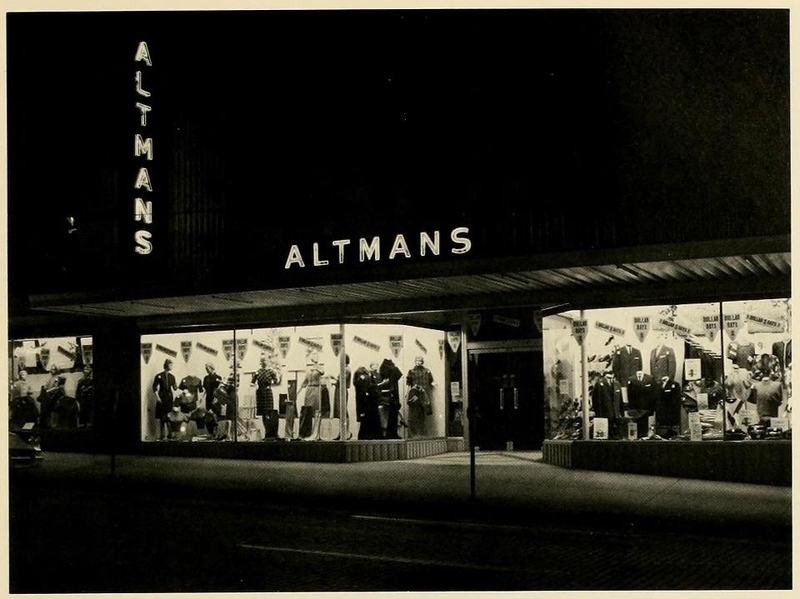 Does anyone have a link to some old photos of the department stores? My recollection is that Belk was on the corner of Washington and Court and Marting�s was a little farther down on Court St. Is that accurate? Belk was in the middle of a block, across from the current diner on Court Street. My wife and I recently strolled the campus and uptown during the glorious warm weather this past Sunday. That is a good day right there! which is the same building that Marting's later occupied. Awesome! Thank you for posting that photo. It's all coming back to me. The buildings on either side of the former Cat's Den are now gone. I read where lighting struck the Belk building and it burned down. You're welcome. Yes, there's a parking lot where those buildings used to be. That fire was a real shame. As a result, Belk decided not to rebuild. 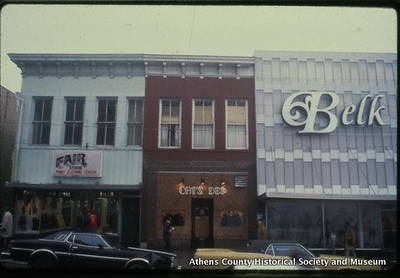 The Athens store was at the time the most northern store in their chain and it was not part of their target area.